The front page of the Unity Asset Store is fascinating to look at. Scrolling through, I see 3D interior and exteriors for futuristic buildings, a race-track generator, tools for fog and lava, footstep sounds, character portraits...the list goes on. Since 2010, developers have been populating the Asset Store with building blocks that have formed countless games. For Peter O'Reilly, the store's global head, that sprawling variety is the evidence of its success. 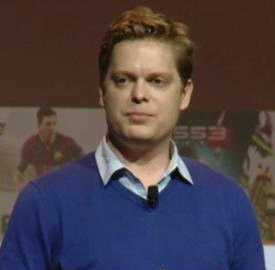 O'Reilly says that the core of the Asset Store reflects Unity's stated goal of democratizing development. In the eight years since it launched, he says, that mission has been a success, and the numbers certainly reflect that. Items from the store have been downloaded over 40 million times since 2010, with 12 million downloads in 2017 alone. More than one million users use the store each month, purchasing 56,000 asset packages made by 10,000 publishers or creators. O'Reilly attributes much of this success to the indie community. "Even a chair can take a really good, talented artist three to four days to do well. We speed up development that way"
"Unity really started at a very different stage than most engines," he said. "We really fuelled that indie market. For that reason, we have the majority of students, hobbyists and indies using Unity as their preferred engine. When you think about the asset stores in their current state, those developers are the primary customers of user-generated content. "It's more efficient to buy assets on the Asset Store than create them yourself. Even a chair can take a really good, talented artist three to four days to do well. We speed up development that way, but we also support the indie market. There are a number of developers making games that are also publishing assets on the store, so they have that second income strain to fuel them. That's what I love to see as well, and what we're all about." That second strain of income can help bolster small or mid-sized games, but it can also turn into a lucrative business all on its own. "The best part of my job is working with publishers," O'Reilly said, who notes that a better word for those who make assets to put on the store might be 'creators'. "You've got all different kinds of publishers. You've got the one-person-band, students working to generate some extra income on the side, and people who really started there, got a following and have just been building and building their businesses ever since. We now have a large number of publishers whose whole business is building stuff for the Asset Store. "It's not just chairs; they are building incredible tools and extensions to the core Unity engine which enable people to spin up environments in a fracture of the time that they would have otherwise. It's fascinating to watch these guys go from one person to ten people, and there's a few that are getting even bigger than that." Not everything on the Unity Asset Store costs money. There are free assets offered by both Unity and store publishers, with Unity's assets marketed as tools for those just starting out. Though O'Reilly acknowledged that freebies are usually not profitable in their own right, their continued distribution can either be a hook to motivate actual purchases, or simply offered out of generosity. "One of the good things about the industry is that there's so much altruistic goodness in it," he said. "You see that with Kickstarter, you see that with Patreon. People want to give back to the community. And for a lot of people it's to say, 'I built something that got published.' There's a huge marketplace for that, especially when you talk about students who have limited amounts of money - they're a massive audience. I think it's fantastic that we give them free content to get them started. Without it, it would be a very different story for them." One topic that's been batted about often lately is the concern over "asset flips." The term is generally used to refer to games that use a large amount of pre-made assets from stores like Unity's to create a game with relatively few original assets. Though on its face that sounds like something one would want to avoid, the line of what constitutes an "asset flip" has blurred in the last few years. 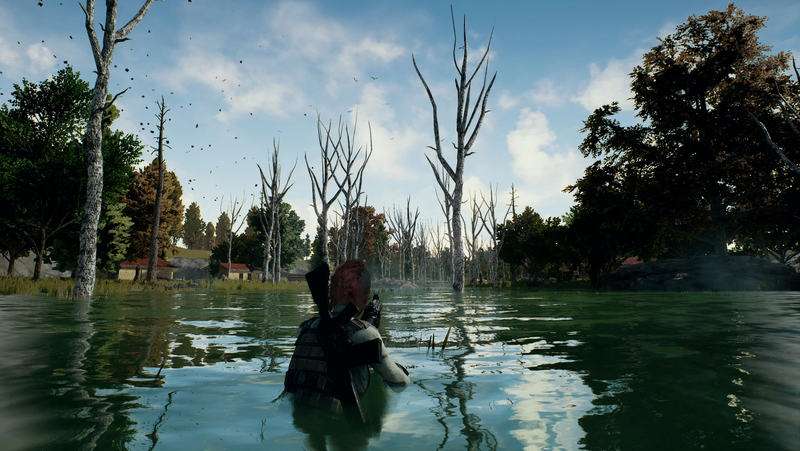 Perhaps the 173 games Valve removed from Steam last year all count as undesirable asset flips, but what about when PUBG is accused of the same thing? However you feel about excessive use of assets, O'Reilly offered a nuanced explanation as to why a studio might lean on Unity assets in the first place. "'Asset flipping' is a very derogatory term, and the Steam community in particular has latched onto it in a very derogatory way"
"I think 'asset flipping' is a very derogatory term, and the Steam community in particular has latched onto it in a very derogatory way," he said. "AAA developers use outsourcing. Why do they use outsourcing? Because it gives them time to focus on what's really, really important, and that's the gameplay. Most indie game studios have around $200,000 to build a game, and the majority of those are self-funded. Games wouldn't see the light of day in most cases if they weren't clever about where they secured some content. "I think most game developers would say that, if you're building your main character, you want that character to be unique. The Asset Store may not be the place to get your main character. Or a really integrated part of a contactable surface, which you may have to interact with, or needs to break in pieces, or whatever else. It probably makes more sense to do those in-house. But if you think of the size of games these days, and the breadth, it just makes sense - especially for that indie market - to use assets so they can really focus on what matters: making a great experience. "Also, without the Asset Store games wouldn't be prototyped. You couldn't get to a stage where you created something you could show to someone or even yourself and say, 'We've got something good here,' or show to investors and say, 'We can actually do something. Can you please invest in us?'" A common thread throughout my discussion with O'Reilly was the importance of finding ways to support and ultimately make money for developers. Our conversation was ripe with examples of what Unity is doing to make that happen, but one thing the Asset Store is not doing is changing its revenue share to match the Unreal Engine Marketplace's new split, under which 88 per cent of proceeds go to the creator. "My initial instinct was, '88 per cent? Wow, that's amazing!' Then the rational side of myself kicked in and was like, 'Well, 88 per cent of what?'" According to O'Reilly, though, that's not because Unity's Asset Store is somehow a less valuable place for creators to publish assets. On the contrary, while he applauded Epic's decision, he's confident that sticking with the standard 70/30 model will remain both beneficial and competitive, simply due to Unity's sheer size. "My initial instinct when I read the post was, '88 per cent? Wow, that's amazing!' Then the rational side of myself kicked in and was like, 'Well, 88 per cent of what?' Because the difference in the size of the Unreal marketplace and the Unity marketplace is vast. The actual return on investment for publishers [on Unreal] is not that significant, but it is really great that they're giving extra money back. I think it's a great play by them. For me, anything that sees more revenue going into the pockets of creators that enables them to go from doing this on the side, to doing it part-time, to doing it full-time, to building out a studio; anything which gives them more revenue is a great thing." O'Reilly added that while he can't comment on how similar stores might react to Unreal's revenue share change, he "wouldn't expect it to create this shock-wave across the industry." What O'Reilly does expect is further growth in his own store, especially in the coming years. The Unity Asset Store, he said, grew organically for the first several years without much guidance or planning, and he joined the team about a year ago with the task of giving it more direction; to ask how it could be even better, and give more back to the developer community. Since O'Reilly joined, the Unity Asset Store team has doubled its headcount, and is beginning a transition period with the backing of upper management. "What we want to do is make this the best possible marketplace for our developers, and just continue to reinvest and improve the experience of the millions and millions of developers who come in every month to our store," he said. "That's what I think is going to maintain our position as the leader in this space, and we are by far the leader in this space. "What you'll see over the next year, 18 months, two years in Unity for the Asset Store is constant improvement, constant exploration into new programs and opportunities for creators to make more money, constant exploration into new verticals, and that's the focus for my team. Ultimately, we're about making money for developers." As long as the gameplay and the assets are good, buying either will never be a flaw. Only difference being that what used to be called shovelware is now called asset flip.